Yoga Certification. Finding a Yoga Expert. 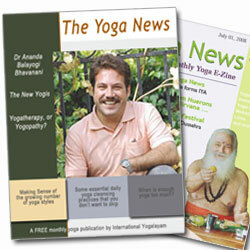 There are now over a dozen well-recognized national and international yoga magazines, along with literally thousands of yoga-related newsletters published online every month. A Google search for “yoga blogs” returns 2.39 million websites, and “yoga articles,” 4.98 million. Amazon.com lists hundreds of books with the word “yoga” in the title. Do you have something to say about yoga? Get in line. Despite its ancient roots and the fact that yoga remained virtually unknown in the West until just a few decades ago, all of a sudden it seems that everyone has two cents to throw in on the subject. Who are all these folks teaching, talking and writing about yoga, and is what they are saying worth listening to? It’s time we started to ask some important questions, such as who is really qualified to speak with authority about yoga and has the experience to write with genuine understanding about it? Who knows enough about yoga to be called an expert? Who, even, is qualified to teach it? But those are more difficult questions to answer than you might think. With yoga moving swiftly into mainstream culture, and thousands of budding yogis rushing in to make a name and a dollar for themselves, credibility is becoming a big issue in the yoga world. For the majority in the global yoga community, the dilemma of how to properly assess the credentials of today’s yogis has yet to be solved. The central question remains how to sanction practitioners of an ancient science that does not fit too easily into our conventional structure of academic education. Though yoga has been around for millennia, many traditional lineages have evolved to protect and pass down its teachings, each developing their own approach to the teaching and practice of yoga. This makes standardization of yoga education a near impossibility, creating quite a quandary when it comes to establishing a yoga certification model. But this concern might pale in comparison to the problem of a growing mess of modern yogis practising all manner of who knows what with the word “yoga” attached to it, the connection of their philosophies and practices to the roots of yoga often extremely vague. These are issues that the newly formed Indian Yoga Association (IYA) is currently grappling with. At the same time they are trying to work out just how to ensure adequate knowledge and experience for yoga teachers, without too narrowly mandating what and how they are to be taught. Years ago there was anticipation of this predicament in many places outside of India, which saw several self-proclaimed “yoga associations” spring forth. The apparent yoga visionaries who spearheaded these initiatives quickly laid down guidelines for yoga certification and the recognition of yoga qualifications, in an attempt to give street cred to the growing number of wannabe yogis and teachers in their countries.